Case John 3:16 Tru-Sharp Mini Trapper Folding Pocket Knife | BUDK.com - Knives & Swords At The Lowest Prices! Case's John 3:16 Mini Trapper folding pocket knife is truly worthy of sharing. 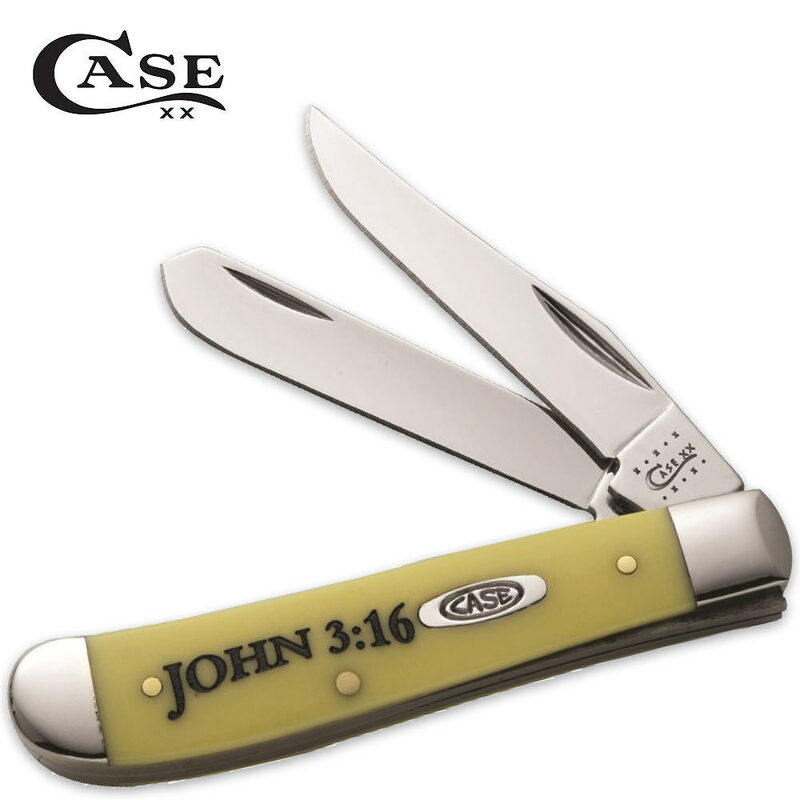 An excellent gift idea,this classic Case folding pocket knife is an instant reminder of this most important Bible verse. Tru-Sharp surgical steel blades provide utility while the smooth yellow handle is embellished with the reference to John 3:16. Nickel silver bolsters,brass pins and the classic Case oval shield complete the design of the John 3:16 mini trapper.